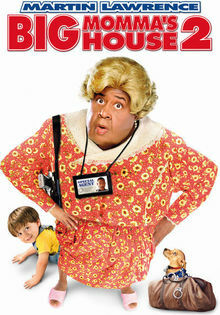 Martin Lawrence returns in his biggest, most outrageous role ever as Big Momma, a wisecracking Southern granny with tons of tricks up her sleeve. After witnessing a murder, FBI agent Malcolm Turner (Lawrence) and his stepson (Brandon T. Jackson) go undercover at an all-girl performing arts school. Now Malcolm must catch the bad guys while fending off the advances of the school’s goofball janitor!